On Sale! Up to 4% off on Marijuana Tests at Utah Health Net. Top brands include Marble Medical, USAintel 2 Panel Dip Sticks, Drug Abuse Control, bulk buys, Healgen Multi-Drug Urine Dip Card, MaxCheck, Generic, Arogya Ayurveda Kendra, Veri-Sure, BoostWaves, Manufactured for Xlar, ASSURED, L.P.T, First Check, ThcCheck(tm), & Reveal. Hurry! Limited time offers. Offers valid only while supplies last. 20 Pack of Instant 2 Panel Test Kits, Test for Cocaine and Marijuana, 99% Accuracy level, Easy to use. 15 Pack of Instant 2 Panel Test Kits, Test for Cocaine and Marijuana, 99% Accuracy level, Easy to use. 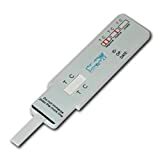 10 Pack of Instant 2 Panel Test Kits, Test for Cocaine and Marijuana, 99% Accuracy level, Easy to use. 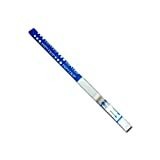 25 Pack of Instant 2 Panel Test Kits, Test for Cocaine and Marijuana, 99% Accuracy level, Easy to use. 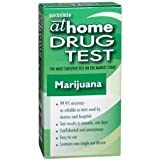 View more products in Drug Tests.